For informations about runs you must click on the photo bellow. Welcome on the homepages of the sports club SC MARATHON PILSEN! Since the year 2008 we organized a serial of running competitions WEST BOHEMIA LONG-DISTANCE RUNNER´S GRAND PRIX in order to honor our best long-distance runner in the history and the quadruple Olympic Winner Emil Zátopek. 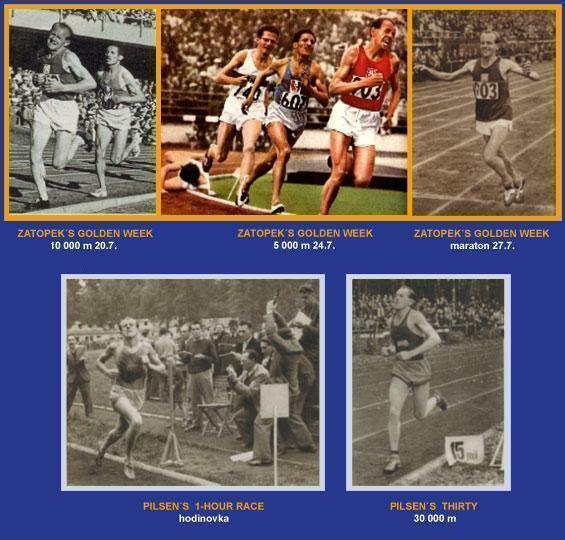 A part of this series was the GOLDEN ZÁTOPEK´S WEEK.